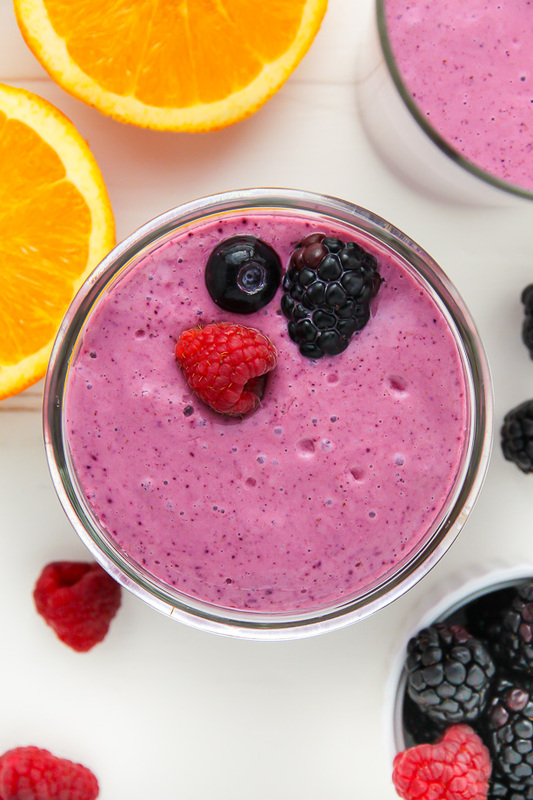 Sweet, fruity, and refreshing, this berry orange smoothie is packed with protein and flavor. Bonus: it takes just seconds to whip up! When it comes to smoothies, I’m a bit of a connoisseur. I blend them, I buy them, and I drink them daily. When we were on vacation, I even brought my blender to our beach house so I could get my morning fix. Needless to say, I take my smoothies very seriously. 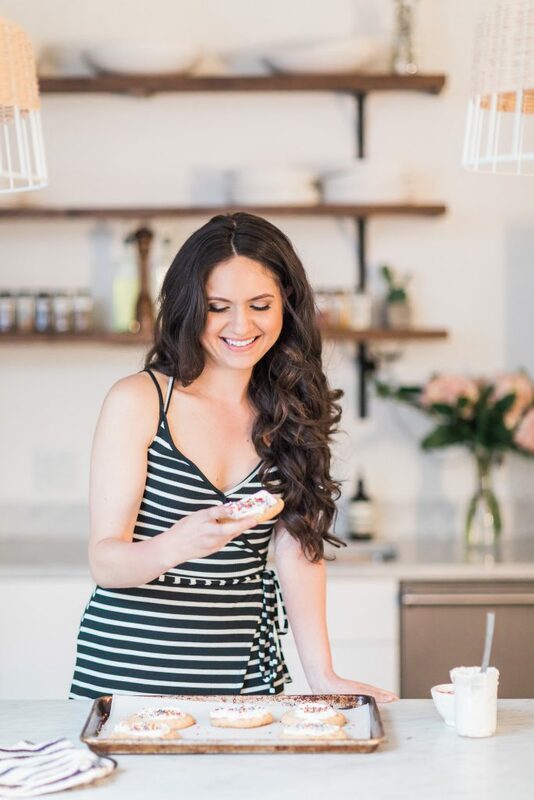 Today I’m excited to be teaming up once again with my good friends over at Friendship Dairies cottage cheese. 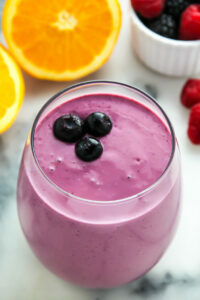 Their cottage cheese is my secret ingredient to making this smoothie creamy, delicious, and filling. Friendship Dairies cottage cheese is a great source of long-lasting energy and it tastes amazing! Unlike most smoothie recipes, for this drink you need no frozen banana. Instead you’re going to start with frozen berries. 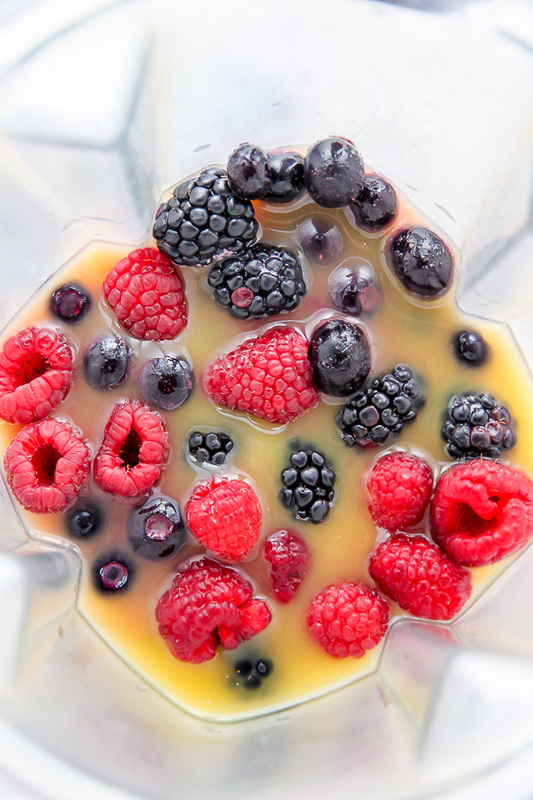 Frozen berries are a great base for frozen drinks because they blend into a delightfully creamy texture. You’re also going to need orange juice, honey, Friendship Dairies cottage cheese, flax seed, and vanilla extract. Bright citrus, juicy berries, and creamy cottage cheese. Three of my favorite things in one drink! Once these ingredients are combined, simply blend into sweet, creamy bliss. Each sip is like a little slip of sunshine. Filling, fruity, and undeniably refreshing! 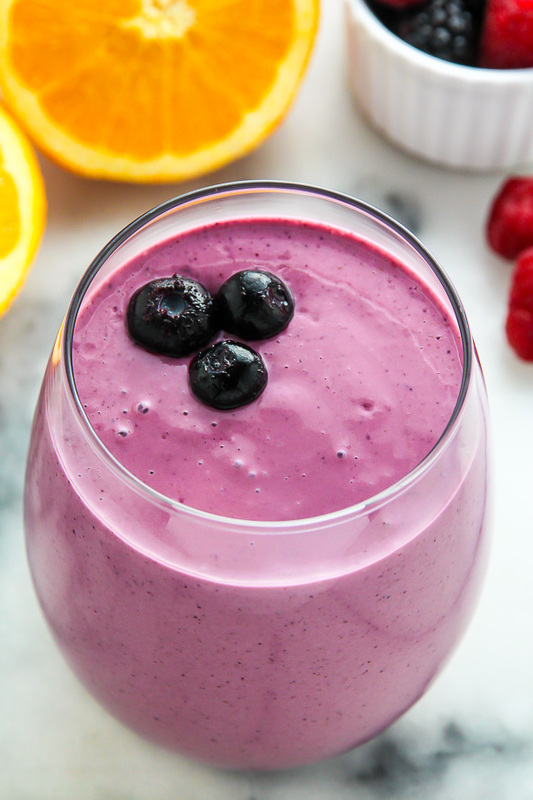 I just know you’re going to love this smoothie. 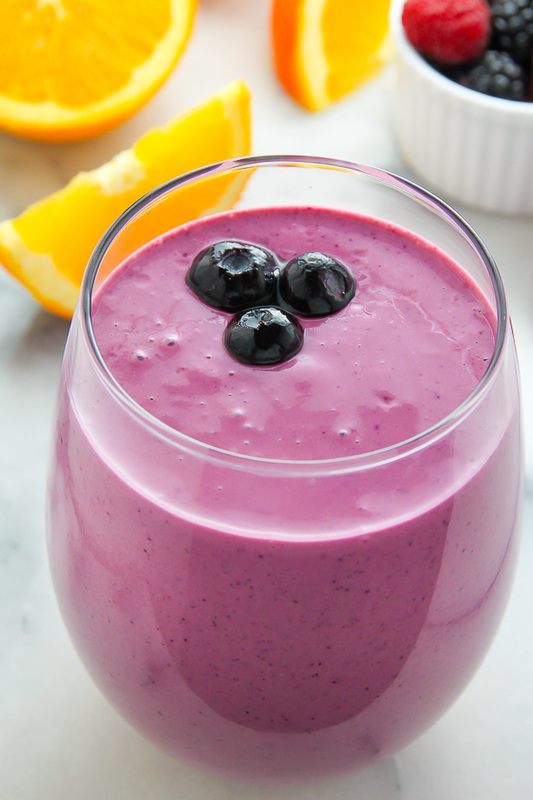 This berry orange smoothie is super refreshing and packed with protein! Your pictures look so yummy that I almost lick the screen! it looks yummy,delicious and healthy. I must try that recipe.Please send me more of your recipes.